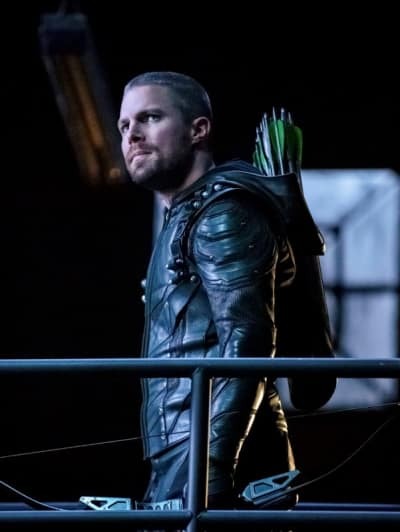 For a second there, Arrow Season 7 Episode 11 had me by the scruff of the neck because thanks to Curtis not being included in the cool Arrow tattoo of the future, I was expecting him to die. That was one of the better twists exploited for our enjoyment in a while, and even though this was a filler episode that used the Suicide Squad success to gain some viewers, it highlighted some fairly decent points. 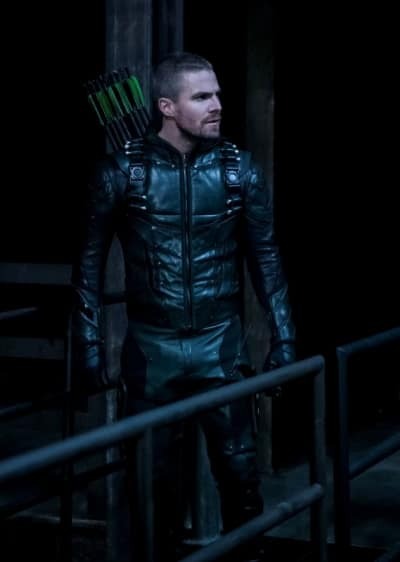 If Arrow had never returned to the Suicide Squad again, it would have been soon enough. 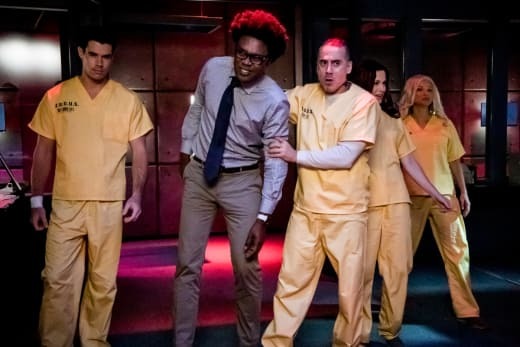 Ever since Floyd Lawson aka Deadshot died on Arrow Season 3 Episode 17, the group has been relatively useless to the show. Deadshot proved that if a character within the Suicide Squad got any backstory at all, he'd get killed and any story would be short because of the rights of use within the DC Universe. In other words, the potential for this group was squandered and should have remained dead many times over since then. Unless, of course, they can be used as human guinea pigs or to forward a social cause. Send in Curtis! Curtis had a lot of points about not using the squad, and my friend Floyd is a brilliant example of why he is right in some of his thinking. Curtis: I'm not putting any bombs in any heads. I don't care how evil that head might be. Lyla: You don't need to. We just need you to ensure that the bomb tech isn't rejected after insertion. Curtis: Yeah, 'cause that's so much better! Permalink: Yeah, 'cause that's so much better! 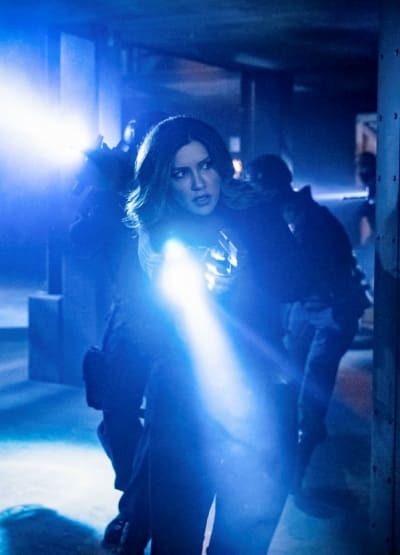 Let's back up a second, as it would be irresponsible not to point out that Lyla and Diggle were going to every degree possible to make it seem like the chosen Ghost Initiative participants were there of their own volition. When Lyla asked Carrie Cutter to tell them about a challenge that she's faced in the past as if it was a genuine job interview, it was downright comical. Was she trying to be funny, or did Lyla seriously think those questions were appropriate? Nobody in their right minds is going to sign up for a bomb implanted in their head, so the idea is doomed from the start. Nonetheless, there was some type of message here about the lengths it's sometimes necessary to go to when your tracking evil. While I agree, making others do the dirty work you don't want to doesn't fit into any political agenda. Some might consider what Curtis did to Diaz to be just as tortuous as implanting a bomb into his skull. Either was a mind-frak. What it did was offer an opportunity to show why Curtis isn't a part of the tattooed gang. I'm not walking away. I'm just not going to be following orders blindly anymore, either. From now on, I'm calling my own shots. There isn't even a lair anymore, and the landscape is crowded. 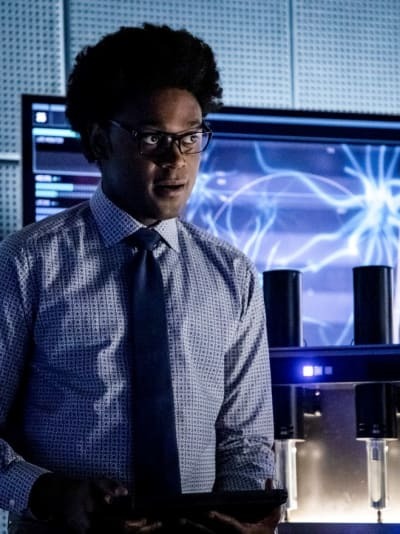 If the Ghost Initiative resurfaced to give Curtis (and Diaz) something to do, maybe it's time Curtis wasn't a part of the team. 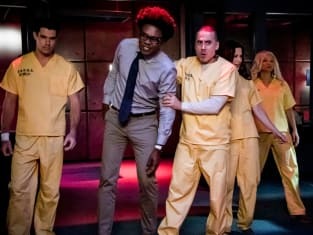 If you told me at the beginning of Arrow Season 1 Episode 1 that one day Oliver and (any) Laurel would be guests on a talk show about vigilantes growing up, so to speak, I wouldn't have believed it. Oliver has gone through so many phases of understanding himself and giving himself a break that it was high time he put out there the truth about his survival. It seemed almost like a dream come true to those who initially welcomed him home and for those who hold out hope for similarly situated loved ones. We've seen his survival was far more dramatic and traumatic than most would be able to handle. The introduction of Emiko as another sister with ties to Robert meant the inevitable story of father and son would rise again. But Oliver finally had the opportunity to tell everyone about his harrowing journey on the life raft and to put to rest any idea it was smooth sailing, and he was still suffering from rich white boy issues. I hope that we never have to discuss the turd that was Robert Queen again. Emiko should have no love lost for the man, and we know Oliver has had about enough of his memory. The most surprising thing to come from Emiko's arrival is that she holds Robert responsible for robbing her of a family and instead of reaching out to Oliver and giving him the benefit of also coming from a crap father, she's yet to open the door. Emiko said he would consider talking, but if her big grudge was missing out on family, she should be jumping at the opportunity to get to know her brother. He's as much family as anyone she knew before. They need each other. What you wouldn't get from any of the photos released by The CW is that Laurel and Felicity also had a significant storyline that not only celebrated their friendship but shed more light onto Laurel's past on Earth 2. 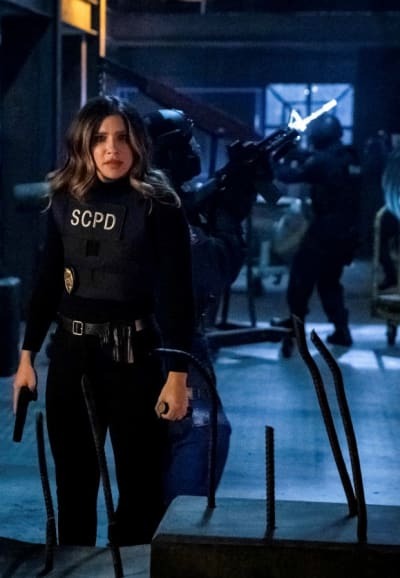 It's too bad because her outfit when she first used her canary cry to kill (or try to kill) made Laurel look like a Girl Scout. Related: Arrow Mystery - Who is Blackstar? Felicity and Laurel are, as we have noted many times, endearing as friends. 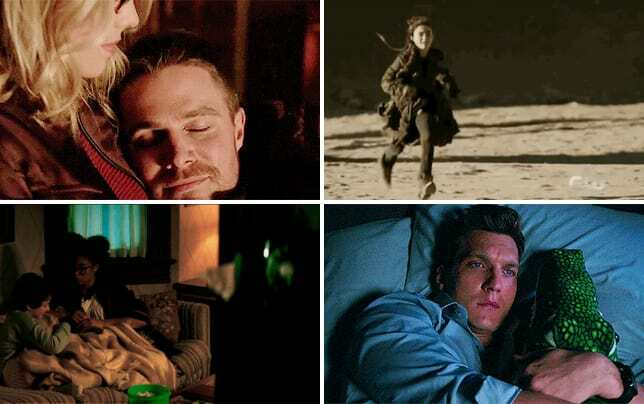 Their connection makes each bearable for the other fans of Arrow, and it's a darn shame nobody saw the similar sparks between Laurel OG and Felicity. Felicity cares for Laurel in a way she hasn't been able to connect with any other females in Star City, and this Laurel has benefited greatly from it. While Felicity used to have funny moments around Oliver and men, she gets them with her girlfriends now. Worrying about leaving the wine behind was such a girly thing to do. You'd think any situation could be conquered by wine! Laurel's second chance with Quentin has a lot more weight after learning she has held herself accountable for his death for the past 15 years or so. No 13-year-old girl should carry that burden around, but a way to release the pain had to play into her decisions to fall to the dark side in the past. Laurel: Brett Collins isn't a rando. He's supposed to be dead. Felicity: What does that mean? What are you talking about?! Laurel: Collins is the drunk driver that killed my father, OK? I was 13, and I spent so many years dreaming of the ways that I was going to make him pay, and I did. When I got my cry, I tracked him down, and I killed him. If she can kill her father on her 13th birthday, then she can kill anyone. In her mind, the two had to be inseparable. No death would compare to what she did to her dad, so taking the wrong path was too easy. Felicity's reaction of almost laughing at her friend was perfect. If you hold something like that inside forever and never say it aloud, you run the risk of making it far more significant than it is. Rational thought says a hissy fit over a birthday cake doesn't kill your dad, but a 13-year-old girl's grief can cover that forever. 23 of the Most Enviable TV Hugs EVER! If someone is after you on this earth or on any other earth, we are going to get them. Together. So what I want to know is why Laurel isn't a part of those who get tattooed and form a pact that lasts into the next 20 years. We have an idea why Curtis wasn't mentioned, but what about Laurel. If anything, her journey to hero is more concrete than before. Is death on her door or will it be the pull of darkness again? More of her backstory might help. The word is that's coming soon. I'm also dying to get another glimpse at the future and of Blackstar. If you watch Arrow online, you know she's going to come into the picture kicking. But will we have time to find out what it all means? This hour may have been filler, but it was still full of crucial moments. David Ramsey did a good job pulling it all together, and he even got me with the fakeout Curtis death. I know. I'm a sucker. Tell us about a challenge that you've worked to overcome. Permalink: Tell us about a challenge that you've worked to overcome.